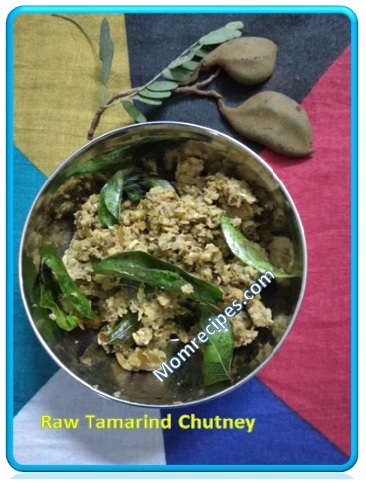 Chintakaya Pachadi / Raw Tamarind Chutney is a tangy chutney prepared using raw tender Tamarind or fresh Tamarind, which is very famous in Andhra and Telangana households.This chutney is Lip smacking and is simply delicious with hot piping plain rice. Curry leaves - 1 springs. 1) Wash thoroughly raw tamarind and green chilles under running water . 2) Dry them fully. Wipe the tamarind pieces with cloth to remove the water. Cut in to pieces. 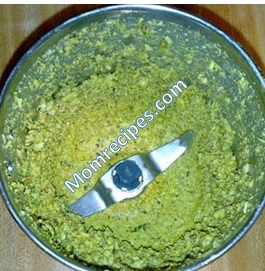 3) Grind all the ingredients green chilly, salt, raw tamarind in a mixer or blender to get the coarse texture. 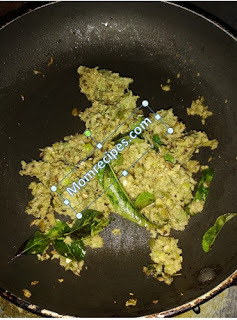 5) Add Oil to Kadai, add mustard seeds when it splutters then add cumin seeds , urad dal , hing ,curry leaves. 6) Add grounded Tamarind chutney to this seasoning , mix well and fry for 1 minute and switch off the flame. 7) Chutney is ready to eat or store. 8) Serve it with hot rice and dollop of ghee.. Raw tamarind should be tender one otherwise it will have seeds. You can either fry green chillies with/without oil or you can use raw ones. 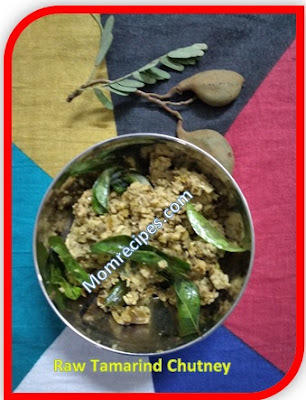 The shelf life of this pachadi is 3-4 days without refrigeration and 10-14 days with refrigeration.